Movement is a vital component of life. One of our core beliefs at Balance Physiotherapy is that movement helps keep us healthy and contributes to our overall happiness. Anything that stops us from moving well hinders our lifestyle and decreases our enjoyment of life. Whether your injuries are acute or chronic, new or old, sports injuries or life-style related, physiotherapy is a key component in your healing process and helps provide effective strategies to get you back moving. The combined experience of our physiotherapists at Balance span decades; we provide high quality healthcare and use a wide range of hands-on skills to provide simple, effective solutions. We strive to be your leading Physiotherapy clinic in Vancouver and collaborate with you in order to return you to a balanced, active life-style. 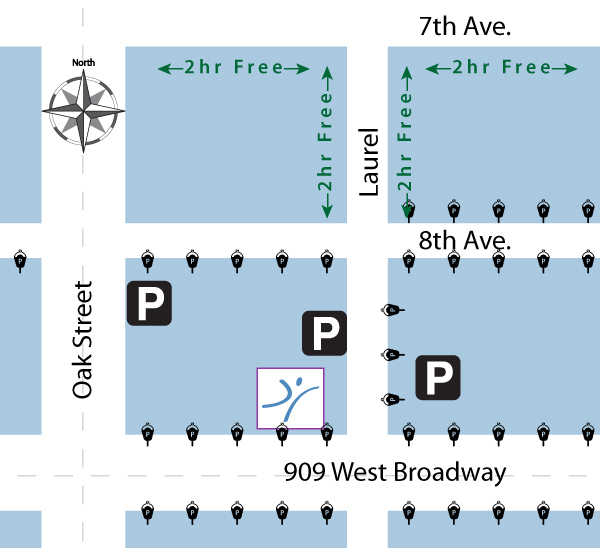 Balance Physio is centrally located on Broadway at Laurel in the Fairview Slopes area. Residing within GYMBOX a boutique fitness centre, we offer individualized treatment and exercise programs in a clean and bright private setting. Clients of Balance Physio can enjoy full use of GYMBOX for their rehab programs. $99 for 2 months. Ask your Physiotherapist for more details. Gymbox, a boutique fitness centre.